This is hands down my favorite mod ever – created by the talented and lovely Kitsumi! All my hair mods are built around this mesh, so it works perfectly with every mod I’ve personally made as well. Comes in white and black, with blue or silver dog tags, and also comes in a longer non-crop tank top version (not pictured here). 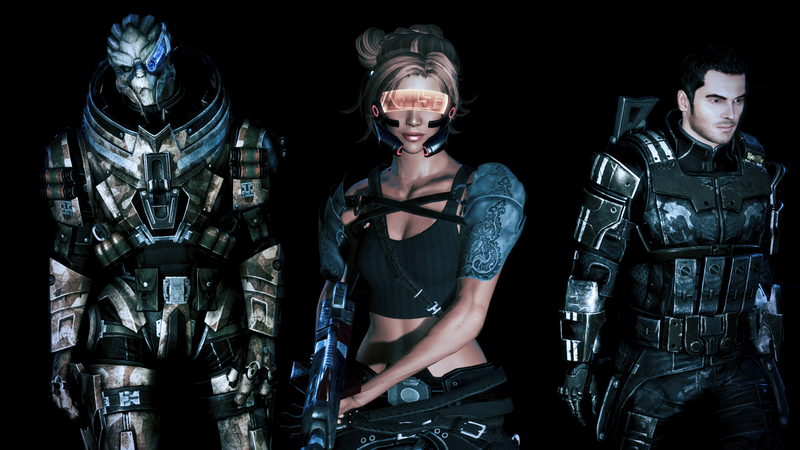 I just purchased the PC version of ME3 and applied two of your mods. Minor hiccups, but I have them working now. 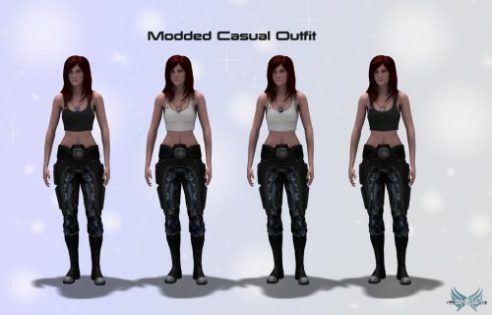 It’s a hair mod with the tank top! Extra props to https://www.youtube.com/watch?v=LyhT0MzuLmk for getting Texmod to work properly.